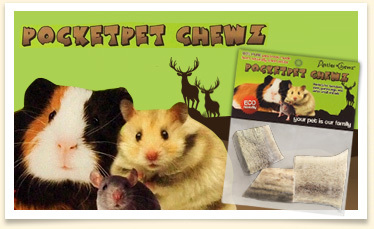 We recently launched POCKETPET CHEWZ. Their front teeth never stop growing. In nature where there is always plenty of things to chew this in not a problem. In captivity chew toys should be available at all times! 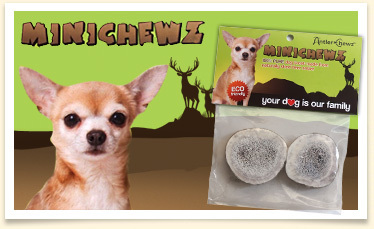 Antler "POCKETPET CHEWZ" is nature's own chew. It is long lasting and rich in calcium & other essential minerals they need. Our NEW Chicken Flavored Antler Chewz are made from naturally shed antlers and 100% natural Chicken flavor. They come in a variety of sizes, spilt or whole as well as in value packs sensitive to your dogs individual needs. 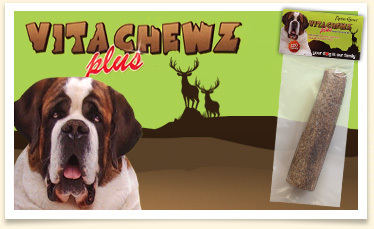 Antler Chewz continue to provide a long lasting healthy chew. 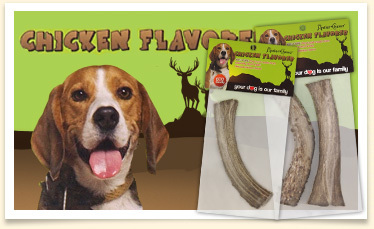 New CHICKEN FLAVORED Antler Chewz: The irresistible combination even the most finicky dog will love! Antler TUG'N CHEW is made from 100% Hemp Rope & Naturally Shed Antler. Now your dog can safely TUG, CHEW, PLAY and FETCH. This all natural rope contains NO TOXIC DYES! This strong natural fiber is biodegradable and brakes down safely if consumed. It helps maintain good dental hygiene for both teeth and gums. 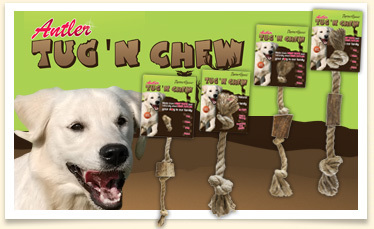 Combined with a mineral rich long lasting antler TUG'N CHEWS are good for your pet and for the environment! Available with or without antler. We created a chew for small dogs teeth and gums. VitaChewz Plus is for very large dogs (90 lbs +).